Impact of the Cadillac will start in 2018. This could be a big deal for those that have a very rich benefit health care policy. The tax on high-cost health plans, which are often referred to as Cadillac plans, is expected to impact a considerable share of the plans provided by healthcare orga­nizations for their own employees, as much as 39% by 2020. The implications are significant because the excess-benefits tax requires the employer to pay 40% on the value of the portion of the plan that exceeds thresholds set by the Patient Protection and Affordable Care Act. Employers also need to consider that the tax is measured as a direct function of plan cost, and not actuarial plan value, and that a number of factors can drive excise-tax exposure. Beginning in 2018, the Patient Protection and Affordable Care Act requires employers to pay a 40% excise tax on a portion of the value of high-cost health plans. This tax on so-called Cadillac plans is calculated as 40% of the excess of total per employee per year (PEPY) healthcare costs above statutory threshold limits of $10,200 for individual coverage and $27,500 for family coverage. The limits apply to the sum of employer and employee portions of premi­ums (for insured plans) or premium equivalents (for self-funded equivalents). Taxes will be assessed each month. Because the excise tax is assessed for specific plans with distinct COBRA rates, and not at an aggregate employer level, employers need to have a solid understanding of which plans are likely to be hit with the tax and when each plan’s costs may be likely to cross the excise thresholds. Because the tax is measured as a direct function of plan cost, and not actuarial plan value, it is possible that a plan with relatively modest actuarial benefit value may have high net claims costs and therefore incur the tax. 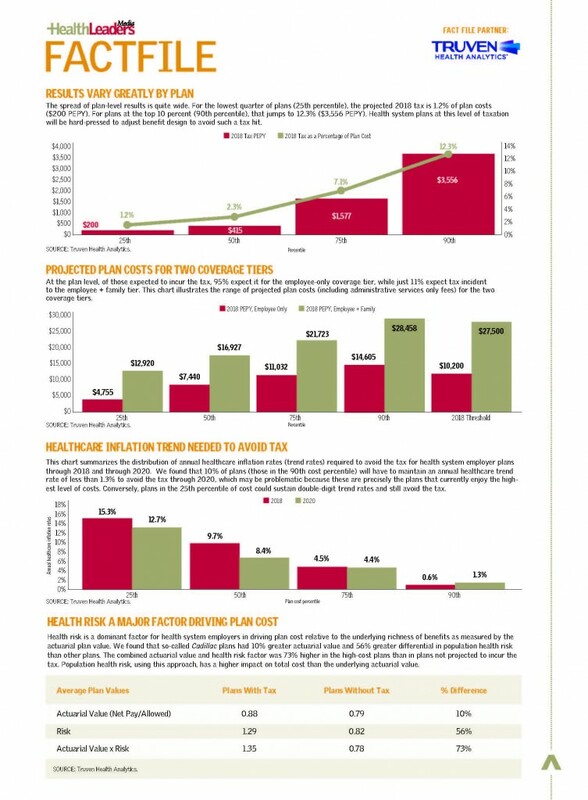 In this case, factors like the presence of high-cost claimants, high use of care driven by the plan’s demographic profile, or high underlying unit pricing for healthcare due to the plan’s peculiar geography or provider network arrangements may also drive excise tax exposure. 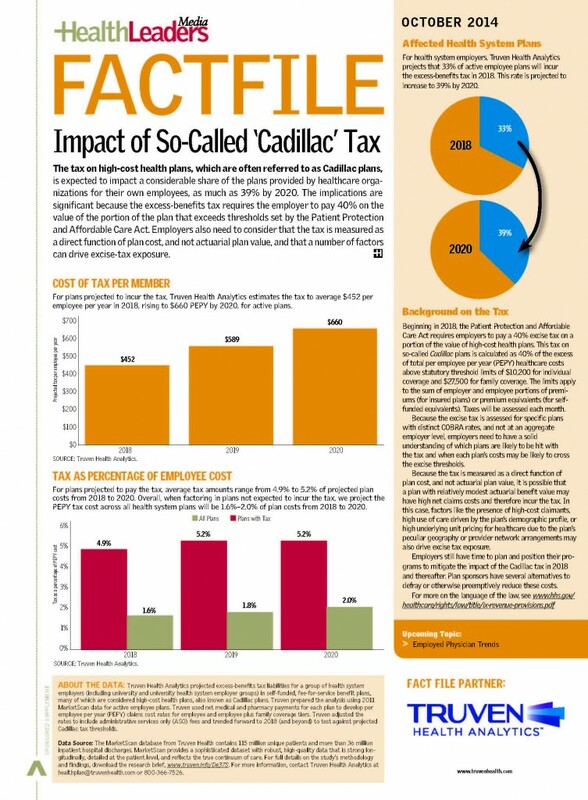 Here is more information on the Cadillac Tax.